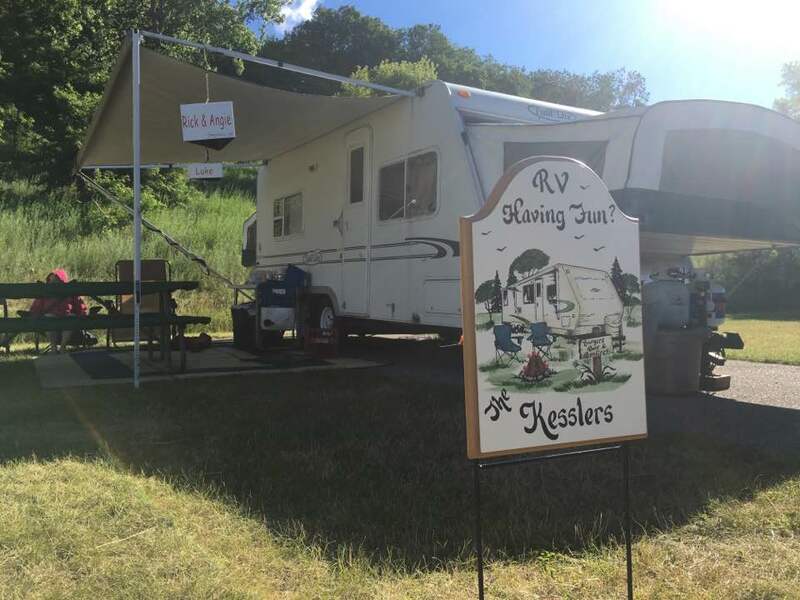 Author's note: From time to time I come across a press release that I think RVers would find interesting. Such is this case with the IncinerGrate by FIREase. It seems we all have a method of building our campfires, but I think the folks at FIREase just might be onto something with their IncinerGrate. We all have fond memories of sitting around a campfire, or a backyard fire pit, sharing stories with friends, neighbors and family. 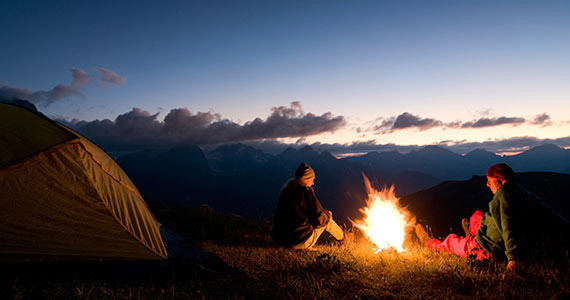 However, starting a campfire or a fire in a fire pit can be a hassle. And most fires require maintenance, poking, prodding, coaxing and stacking to keep the fire going. This often requires too much time and effort, detracting from the fun and relaxation. The simple solution to a well burning, low maintenance fire was invented by FIREase. FIREase designed the IncinerGrate, a patent pending vertical fire pit grate that significantly improves fire building and minimizes fire maintenance. Watch a video of the IncinerGrate in action! Creates a visually captivating fire! At FIREase, they say that, "We build fires that love to burn!" And that's exactly what this invention provides, better burning fires. IncinerGrate’s welded steel frame makes it fast and easy to assemble the perfect structure of tinder, kindling, and wood to build a first rate fire. Once the fire is lit and additional kindling is added, IncinerGrate creates the “ember core”, ensuring plenty of oxygen flows through the logs, resulting in a fabulous fire. The IncinerGrate keeps the logs in the classic teepee shape throughout the fire. That means less time tending the fire, and more time dining on summer favorites like hot dogs, toasted marshmallows and s’mores. If you like to tend to a fire, you can still do this with the IncinerGrate, and you'll be better rewarded for your efforts. As you add logs, the IncinerGrate will help ensure they stay where you want them. As the fire burns, you feed the “ember core” with pieces from the burnt logs, to create and easily maintain a perfect, visually attractive fire. It's really easy to use the IncinerGrate. Start by making a small pyramid of tinder and kindling. Then firmly plant the spider-like frame over this small kindling pyramid, ensuring the four legs are level. Lean your smaller firewood against the IncinerGrate frame in a teepee shape, and light your fire. That's it, your FIREase fire is good to go! No need to blow out your lungs to coax your fire, IncinerGrate’s advanced design draws oxygen up and through the fire. Once your fire is burning nicely, just add larger logs for increased longevity. Simply lean the large logs against the frame, continuing the teepee form, and air will naturally flow through your FIREase fire. Make sure your tinder, kindling, and wood are dry for a proper campfire. Even a FIREase fire is less than optimum if you attempt to use green or wet wood. 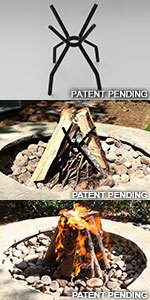 IncinerGrate is perfect for use at your campsite, beach location, or in your fire pit at home. Now, get out that pack of hot dogs, bratwurst and bag of marshmallows, brush up on your ghost stories, and enjoy your nights! 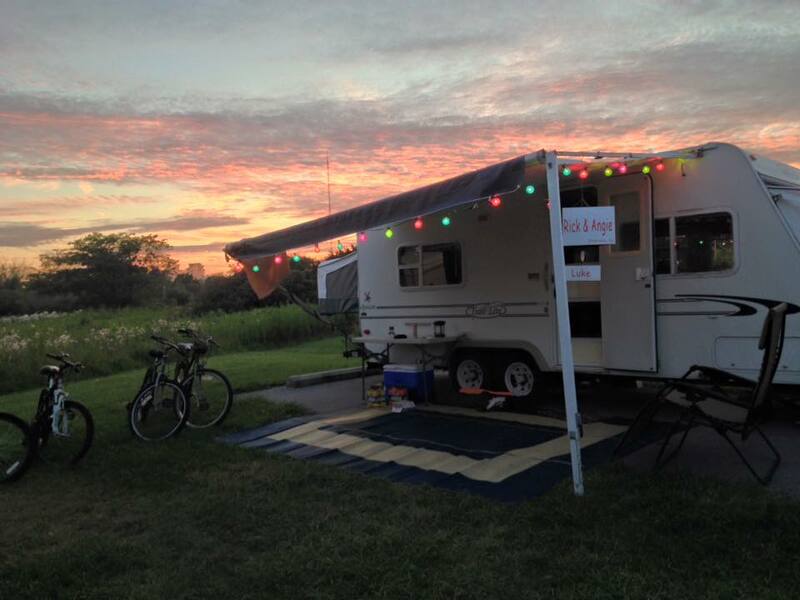 And don't forget to send us a picture of your awesome FIREase fire! For more information, visit www.FIREase.com. Or call 404-310-4922. At FIREase, we help build fires that "Love to Burn!" An important note, always be responsible with your fires. Make sure that there are no fire ban restrictions in your area before starting a fire. Never leave a fire unattended and keep a bucket of water, hose, or fire extinguisher nearby in case of emergency. Once you are finished with your fire, be certain that the fire is completely extinguished. A good test as to whether your fire is completely out is if you can lay your hand on the dead coals for several seconds without detecting any heat.